Note: Knowledge of Japanese Language & IELTS/TOEFL are not mandatory for this scholarship. 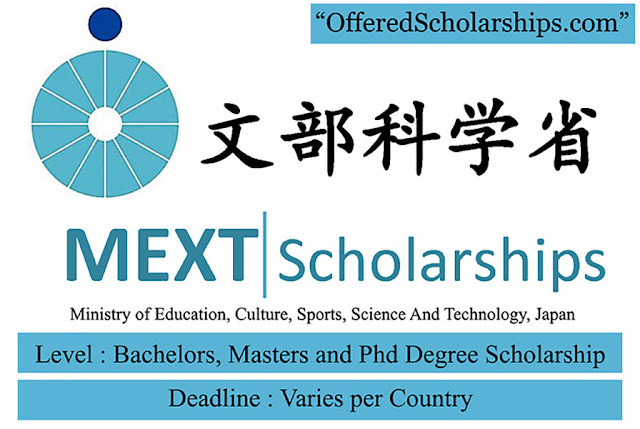 The Ministry of Education, Culture, Sports, Science and Technology (MEXT) offers scholarships to international students who wish to study at Japanese universities as undergraduate students under the Japanese Government (MEXT) Scholarship Program for 2018. Social Sciences and Humanities-A: 1. Law, 2. Politics, 3. Pedagogy, 4. Sociology, 5. Literature, 6. History, 7. Japanese language, 8. others. Social Sciences and Humanities-B: 1. Economics, 2. Business Administration. Natural Sciences-A: Science (1. Mathematics, 2. Physics, 3. Chemistry), Electric and Electronic Studies (4. Electronics, 5. Electrical Engineering, 6. Information Engineering), Mechanical Studies (7. Mechanical Engineering, 8. Naval Architecture), Civil Engineering and Architecture (9. Civil Engineering, 10. Architecture, 11. Environmental Engineering), Chemical Studies (12. Applied Chemistry, 13. Chemical Engineering, 14. Industrial Chemistry, 15. Textile Engineering), other fields (16. Metallurgical Engineering, 17. Mining Engineering, 18. Maritime Engineering, 19. Biotechnology). Natural Sciences-B: Agricultural studies (1. Agriculture, 2. Agricultural Chemistry, 3. Agricultural Engineering, 4. Animal Science, 5. Veterinary Medicine, 6. Forestry, 7. Food Science, 8. Fisheries), Hygienic studies (9. Pharmacy, 10. Hygienics, 11. Nursing), and Science (12. Biology). Natural Sciences-C: 1. Medicine, and 2. Dentistry. Note: A student who intends to major in Natural Sciences and would like to choose more than one major is required to choose and select first-, second-, and third-choice subjects from the subjects in parentheses from within the same course (i.e. Natural Sciences A, B or C). However, a student who selects Course C as his/her first choice may choose his/her second-choice subjects from Course B or C and third-choice subject from Course B as Course C offers only two subjects. 3. Other than the qualifications in 1 and 2 above, must have qualifications deemed to be suitable for enrollment in a Japanese university at the time of application. 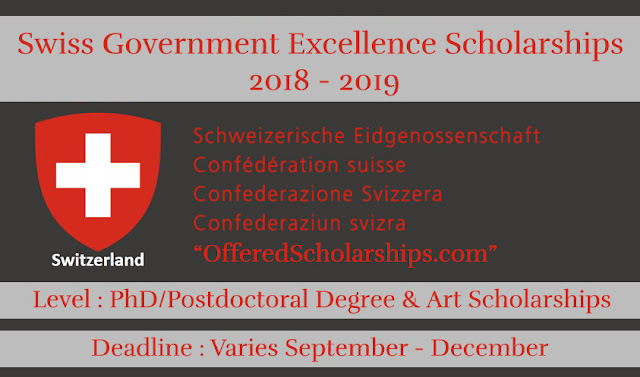 The Ministry of Education, Culture, Sports, Science, and Technology (MEXT) offers scholarships to international students who wish to study in graduate courses at Japanese universities either as (non-degree) student or regular student for a degree under the Japanese Government (MEXT) Scholarship Program. Applicants should apply for the field of study they majored in at university or its related field. And fields of study must be subjects which applicants will be able to study and research in graduate courses at Japanese universities. The fields of study may be restricted to particular fields by the Japanese Embassy/Consulate General(hereinafter referred to as the “Japanese diplomatic mission”). See the official website for other restrictions to eligible fields of study. The scholarship includes an allowance of 143,000-145,000 yen per month, an additional monthly stipend of 2,000 or 3,000 yen may be provided to those undertaking study or research in specially designated regions, travel costs to and from Japan, and school fees. See the official website for complete scholarship benefits. (1) Nationality: Applicants must have the nationality of a country which has diplomatic relations with the Japanese government. Stateless persons can be applicants, too. Applicants who have Japanese nationality at the time of application are not eligible. However, applicants of dual nationality who reside outside of Japan is eligible only if they will expatriate from Japan by the time of arrival in Japan. Screening of applicants will be made at the Japanese diplomatic mission in the country of applicants’ nationality. (2) Age: Applicants must have been born on or after April 2, 1980. · is or will be aged 22 or older and has taken an individual entrance qualification examination and has been judged by a Japanese graduate school as being equal or superior in academic ability to a university graduate (or 24 or older if he/she desires to enroll in a doctoral course in the field of medicine, dentistry or veterinary science, or pharmacy which is founded on a 6-year department or faculty). (4) Japanese Language: Applicants must be willing to learn the Japanese language, interested in Japan and enthusiastic about deepening their understanding of Japan after arriving, and capable of engaging in study and research while adapting themselves to life in Japan. (5) Health: Applicants must be physically and mentally healthy enough to take graduate studies at universities in Japan. (6) Arrival in Japan: In principle, applicants must be able to arrive in Japan between the 1st and 7th of April 2018, or within two weeks of the date set by the receiving university for the beginning of the semester (in principle, in September or October). (7) Visa Requirement: In principle, selected applicants must acquire “College Student” （ryugaku,留学） visas before entering Japan. The visas should be issued at the Japanese legation, located in the country of applicants’ nationality. Applicants who change their resident status to any status other than “College Student” after their arrival in Japan will immediately lose their status as Japanese government scholarship student. Because the application process differs according to the country in which the Japanese embassy is located, please inquire at the Japanese embassy or consulate general in your country for details. Scholarship recipients are recruited and initially screened by a Japanese embassy (or consulate general, depending on the country). The deadline for the applications varies per country. It is important to visit the official website (links found below) for detailed information on how to apply for this scholarship. Go to this website and then search for your country and go to country's specific website and find "Study in Japan" and click on it, you will find all the necessary information needed.